Guest Post by Marta Deyrup. 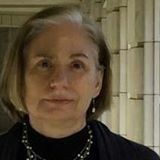 Marta’s forthcoming book Librarian’s Guide to Writing for Professional Publication, will be published by ABC-CLIO/Libraries Unlimited in June 2018.Marta Deyrup is editor of the international peer reviewed Taylor & Francis journal The Journal of Archival Organization. Here she shares some advice from the journal editor’s perspective. One of the best ways to develop a research agenda is to start with a skills inventory. Examine your job responsibilities and ask yourself whether something you do, such as creating finding aids, working with new technologies, and instructing students in the use of archival resources can form the basis of an article or presentation. Take a look at anything you’ve written for work or in a professional setting, for example, a presentation, report, or committee findings, and see whether it can be turned into a larger piece. The same holds true for conference presentations and poster sessions. Authors often ask what a journal editor looks for in a submission. Editors of academic journals are for the most part working professionals like yourselves. They edit professional and academic journals as a service to the profession. They are also human beings, who have their own likes and dislikes. If you do a comparison of the title pages of several peer-reviewed journals you will see that each one is very different. Of course, part of the reason for this is because the mission and audience of each journal is different, but it is also true that editors put their own stamp on a journal. Try testing this out yourself. Look at the table of contents of journals you are familiar with. Are there any patterns that emerge? An editor also asks himself a number of questions before deciding to run an article that are purely mechanical. This makes sense for a number of reasons. If an editor of a journal that focuses on digital preservation receives an article on the “teaching library” s/he will most likely reject it out of hand, no matter how well it is written. If an editor for a top-tier, academic journal receives an article that is only four pages long, s/he will send it back. Editors also want a variety or mix in the articles they run. If an article is too similar to one just published, the editor will reject it. An editor also will ask the following questions that are specific to an author’s work: Has the author satisfied the premise established in the lead paragraph of the article? If the author uses statistics, have these statistics been interpreted correctly? If the author has conducted a survey, are the results meaningful? If the author has done a literature review, is it adequate? Has the right citation style been used? Most importantly, an editor will consider whether an article needs revision. If there is too much work involved, the editor may simply return the manuscript to the author without comment. An editor, however, will work with a writer to improve a piece if it shows promise. If the author has submitted an article to a peer-reviewed journal, s/he will receive feedback from the individuals who have reviewed his work anonymously. If the reviewers accept a work with “minor revisions” an author often only needs to satisfy the reviewers’ questions for his work to be published. Even if the reviewers indicate that the article needs “major revisions” the author will still have an opportunity to resubmit his manuscript.